Nearly 1 of 5 school-age children has untreated tooth decay. If decay progresses, it can interfere with eating, speaking, sleeping and learning. A checkup at the dental office can uncover a small problem before it turns into a much bigger issue. 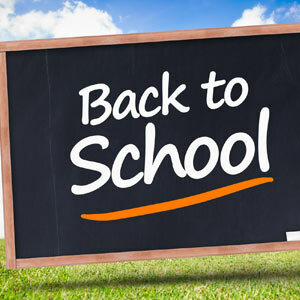 A back-to-school appointment is the ideal opportunity to get a professional cleaning. In addition, we can check on whether your child's oral hygiene efforts are up to par — and give pointers where needed. Will your children be playing sports? If so, ask us about a custom mouthguard to help protect their teeth. If your child already has a mouthguard, we can check that the condition and fit are still adequate, given that your child is still growing. Speaking of protecting your child's teeth, an end-of-summer appointment is a good time to ask about preventive measures like tooth-strengthening fluoride treatments or protective dental sealants. Make sure your child starts the new school year with strong, healthy teeth that will sparkle in school pictures. Please contact us to schedule a back-to-school dental appointment today!